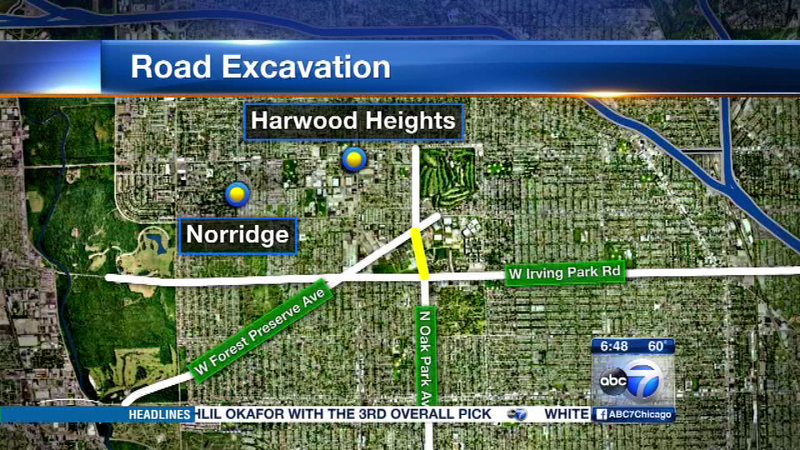 CHICAGO (WLS) -- Crews are getting ready to rebuild part of Oak Park Avenue in the Dunning neighborhood on the city's Northwest Side, but they must first ensure there are no gravesites in the way. The roadwork will occur near an old unmarked cemetery near Oak Park Avenue and Forest Preserve Drive and crews will make exploratory excavations on Friday. The street will be blocked off Friday between Irving Park Road and Forest Preserve Drive. Traffic will be detoured onto Harlem Avenue. Work set to start Monday if no gravesites are not found.